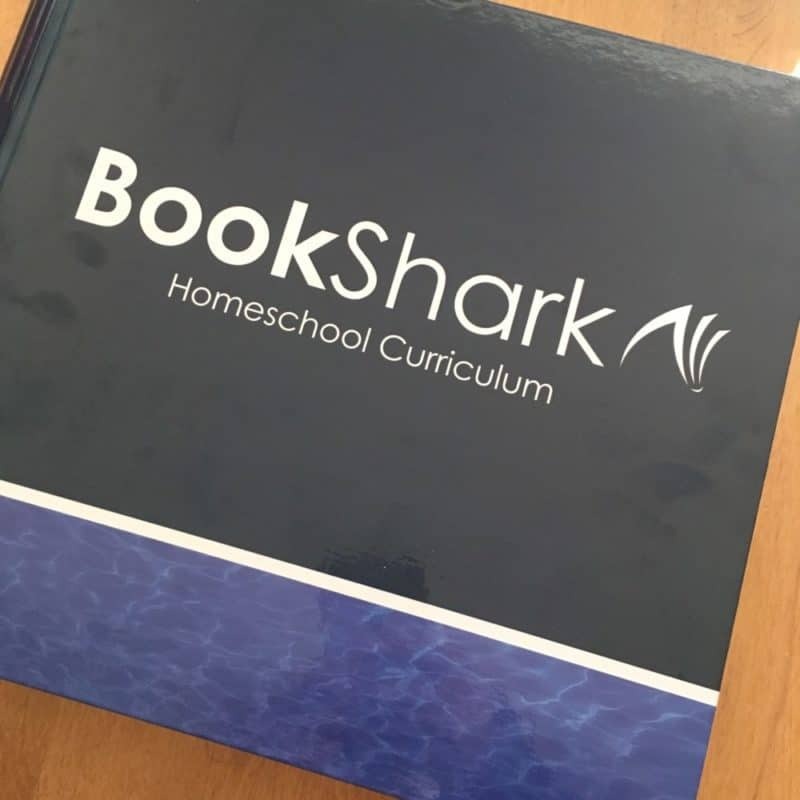 The BookShark Level 1 Homeschool Curriculum is impressive. 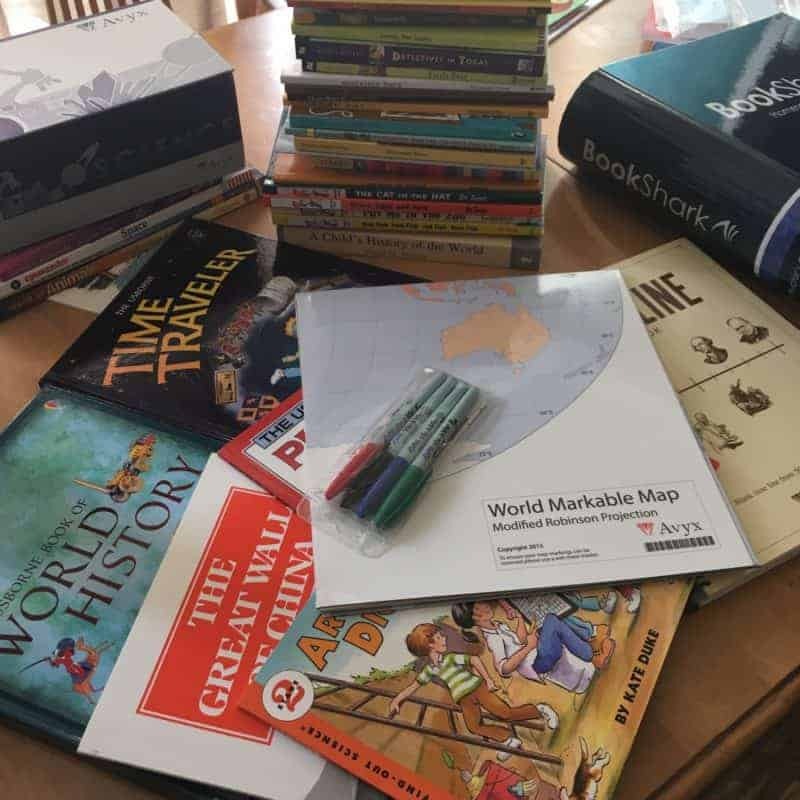 Upon first arrival of our BookShark homeschool curriculum, I was immediately thrilled with the book choices and well planned out days. 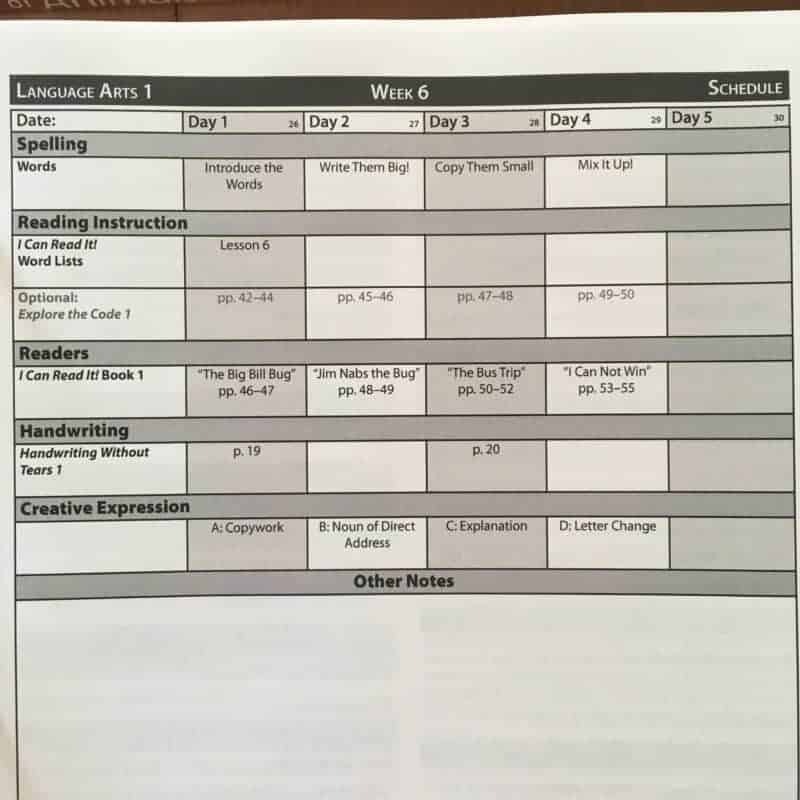 This is my 4th year homeschooling and I’m ready for more structured learning. 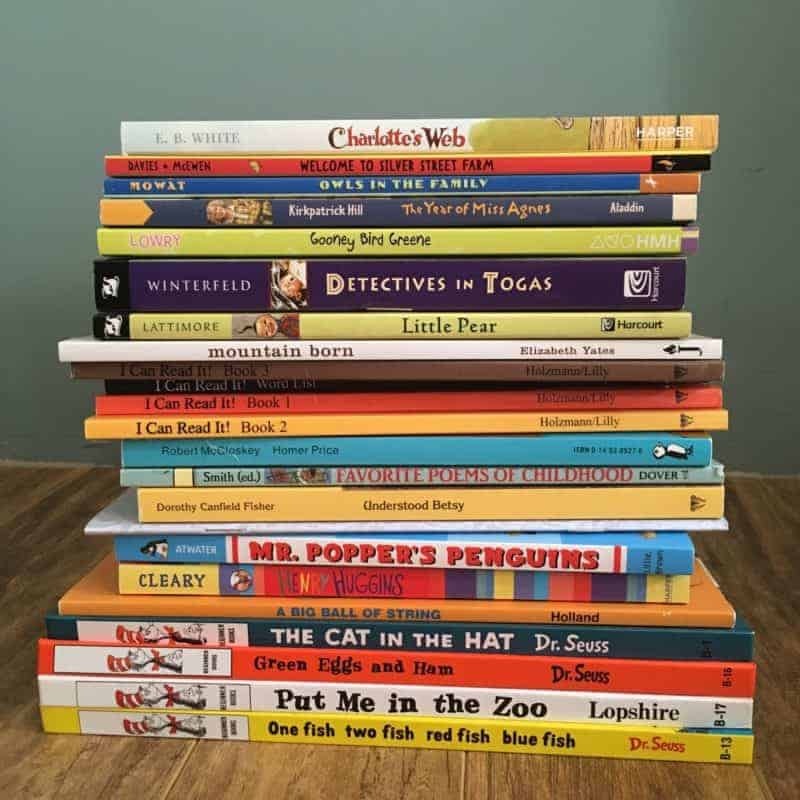 I love that BookShark offers faith neutral, literature based homeschool curriculum. 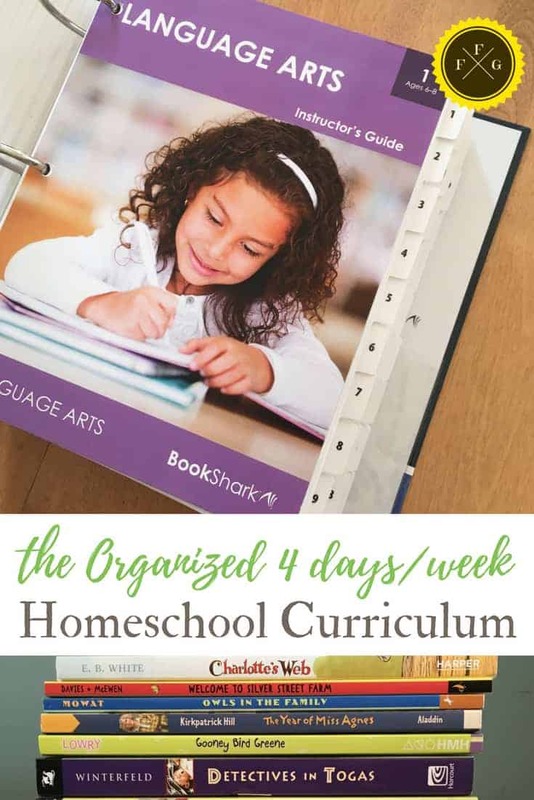 One of my favorite things about BookShark is the organized 4 days/week homeschooling. *This post is sponsored by BookShark. 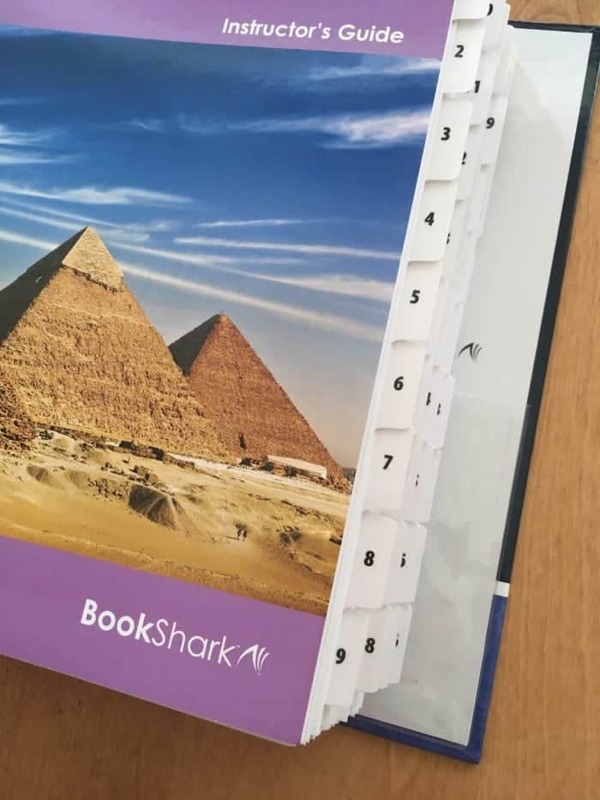 I received BookShark Level 1 History, Science and Language Arts in exchange for my honest experience and review. All words and opinions are my own. 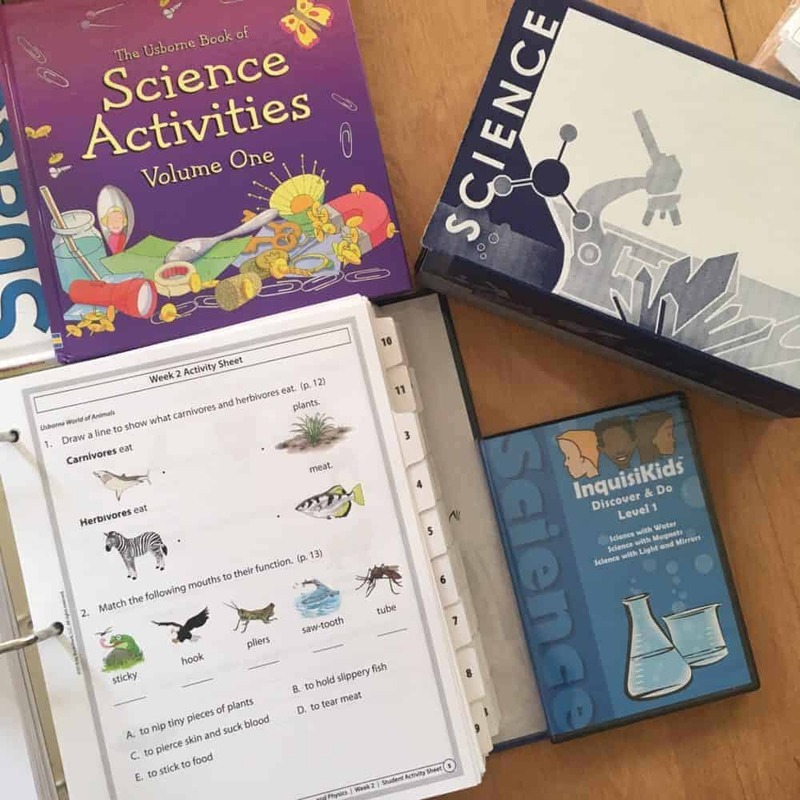 The one thing I will say about this homeschool curriculum is it can seem daunting at first. It is so complete that seeing 36 weeks in front of you might seem like a lot to process. 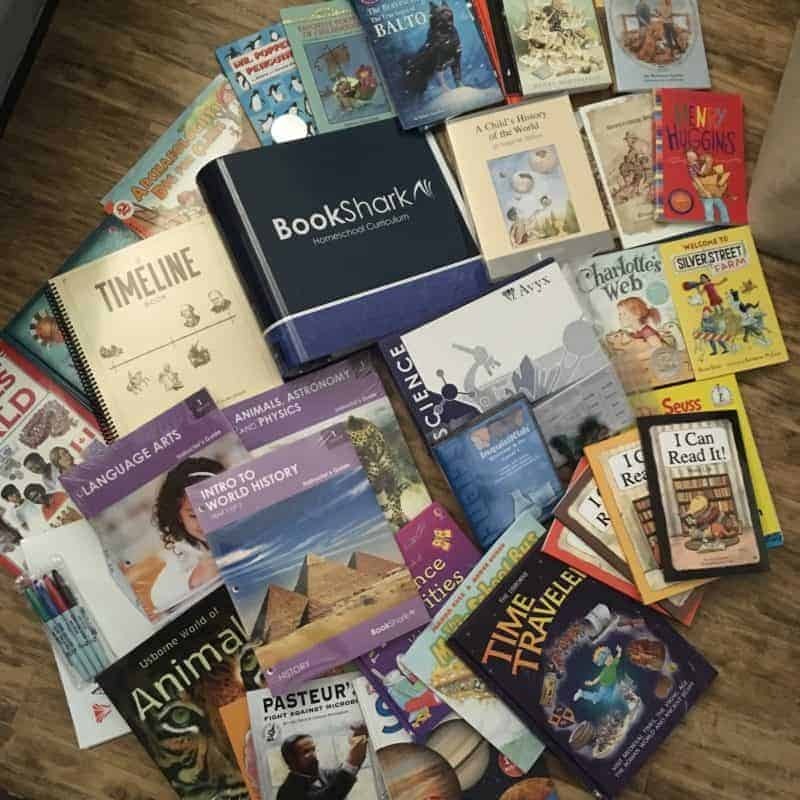 When you receive your BookShark it will come in a large box. You can tell it’s full of great books from the weight! 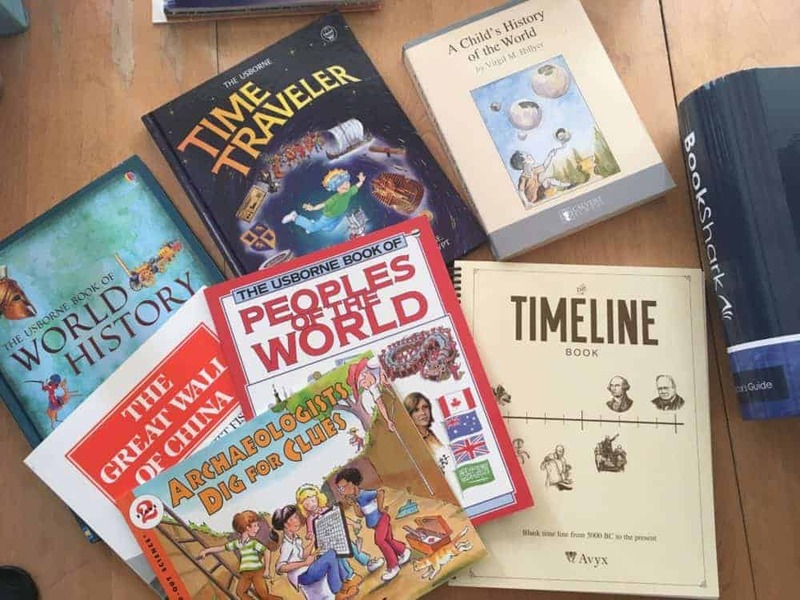 The kids and I loved unpacking it and seeing all the great literature we’ll read together. 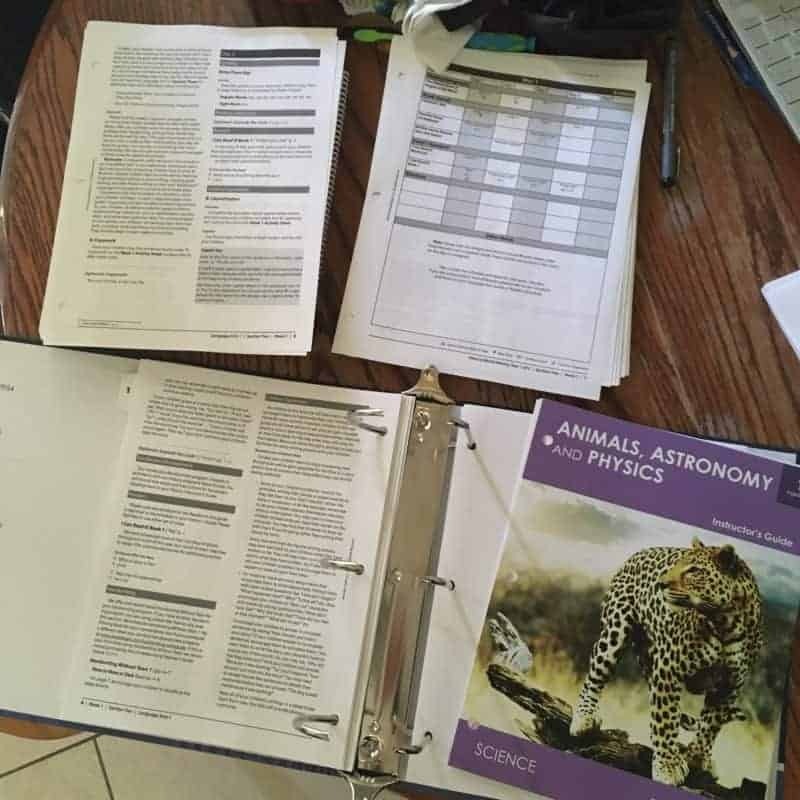 Once you’ve browsed through the books, you’ll want to organize the instructor guides into the binder. It didn’t take too long, and once completed you’ll have all your weeks and subjects organized. I organized all the books into different subjects and placed them on a shelf for quick access. Now I’m browsing through the binder to familiarize myself with the weeks and literature. I’ve added the optional Explode the Code and Handwriting without tears as well. I look forward to your updates on this curriculum. It is challenging to find faith neutral quality homeschool support.